Thistle were extremely helpful in helping us prepare our Authorised Payment Institution (API) application. They provided an organised service and diligently ensured that our submission pack included all necessary documents with sufficient information. Thistle also provided detailed guidance on how to respond to follow-up questions from the FCA. Thistle were always approachable, and their response times were excellent. Will certainly use their services in the future! “As Property Managers, part of our service is arranging buildings insurance for our property portfolio of some 20,000 property owners, so we wanted independent advice to ensure we were complying fully with FCA requirements. We chose Thistle Initiatives based on their professional, honest and transparent approach. Thistle delivered precisely what they said they would and their attention to detail, pragmatism and delivery has been beyond even our own high expectations. There was an extremely tight implementation of the changeover from our previous broker and Insurer but Thistle provided exactly the support we required exactly when we needed it. “I have found the Thistle workshops a good place to learn about and debate upcoming regulatory changes. Whilst I am generally aware of what is planned by the FCA ahead of the workshops, I find it useful being able to obtain the views of the knowledgeable Thistle staff and discuss with peers within the industry who are facing the same challenges. It is nice to know you are not alone! Thistle were instrumental in helping Trutify become registered as an account information service provider (AISP). The payment services team provided a suite of helpful templates and were always very forthcoming with constructive feedback to strengthen our application documents. 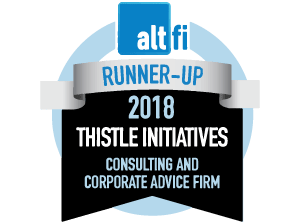 I would recommend Thistle to any other start-up looking for support with their FCA application.